Almost one year ago today, I did my first spotlight on another author. To round out the twelve months, that same author, Alyssa Bailey is back with her new book, Lord Thayer’s Choice. He wanted a burst of sunshine in the morning, a sprite in the afternoon, a Lady in the evening, and a wanton at night, but the choices were slim. Were his desires unattainable? Annalise Coton was to be sold to the highest bidder. She was eighteen, had met her usefulness as a nursemaid to her half-brother, and with no natural parent to protect her from the outcome, she was to go home with the man offering the best price by the close of business today, proposal of marriage optional. But if the choice were hers, the attractive lord who entered the leather shop was one she would consider. He was obviously used to having his desires met, but there was a gentleness about him that belied the harder, angular exterior. She imagined he would be a strict taskmaster, possibly a ruffian in the marriage bed, but a tender caretaker. She felt the tingles in her lower regions, and her daydreaming began. If he would only pay her price. Lord Stephen Thayer needed to find a wife, produce heirs, and meet his first son obligations. However, he had prerequisites that were making a choice difficult, and he would not lower his expectations or standards merely to obtain a bride. Stephen wasn’t a snob, he had needs, and he wanted a woman who had the same desires as he did but how to find her was the issue. With the London season ended, Stephen prepares to return to his estate stopping to purchase some needed leather and possibly a new pistol. He finds that a new saddle and pistol is not all that is offered at the shops today. Could the lovely blonde haired sprite with the biting tongue, innocent bravado, and enticing pout be the answer to his dilemma? Would she submit to him in every way to include his discipline? The choice was his to make and hers to take. Disclaimer: Lord Thayer’s Choice contains the spanking of adult women, elements of age-play and sexual scenes. If any of these offend you, please do not buy this book. Her eyes flashed. “Well, I won’t. I’ve no reason to abide by your words.” Stephen stifled a smile once again. Yes, while her words were resistant, her tone was hesitant and yet petulant. Her face was a bit pouty, and yet her stance was stubborn. Lovely. “What is your name, young lady?” His pitch not changing from the reprimanding tone and he watched her response. “Even if there is truth in it?” Her words were delivered quietly, and she shivered with the cold she was refusing to come in from. “Or aim it better.” She mumbled the words but screeched her dismay at the solid swipe he made to her upper thighs with his walking stick. “I thought those were for show,” she cried out with both hands reaching for her bitten legs. Even though she had on a cloak, it was too short and the dress too thin for the season. It was no protection from the cold or his cane. The swipe was intentionally hard, landing on her predominately unprotected limbs. Stephen watched her as she rubbed her stinging thighs. He was thinking things he knew he should not as he watched her massage the smarting bite he was sure the cane had left her. However, his thoughts were of cuddling her after chastisement, and he did not have the right. Yet. He almost smothered the smile successfully but just a twinge touched his lips, and it was not missed by the sweet morsel in front of him. She was a proud bit of fluff. 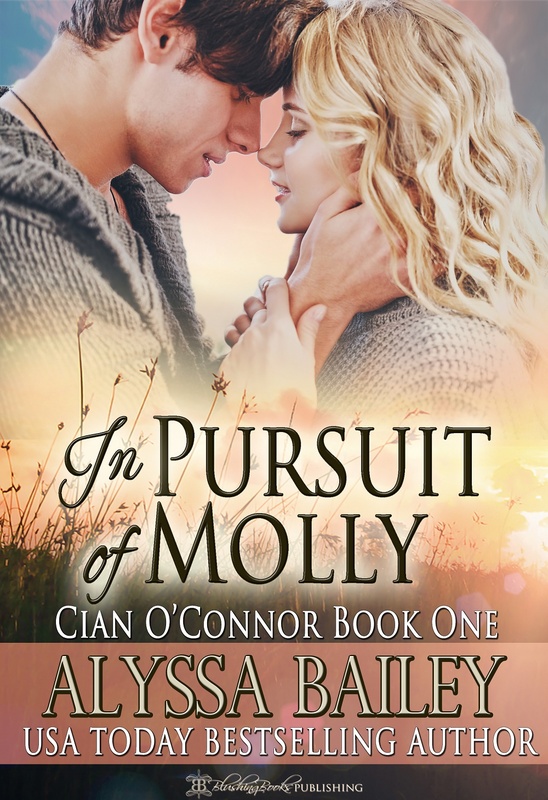 International best-selling author, Alyssa Bailey, is a dyed in the wool Texan living amongst the beauty of Southeast Alaska. She lives where the sky meets the mountains, the mountains meet the ocean, and the wildlife frolic on land, sea, and air. People, the ultimate interlopers, are wedged in where allowed and are properly thankful for the privilege. Her first memory of books was when her mother read to her as a small child. She began writing as soon as she could put letters together to form words. She was writing fanfiction before fanfiction was a ‘thing,' and won journalism awards and special recognition for her academic and fictional writing in high school and college. Alyssa is a firm believer in all things spanking. 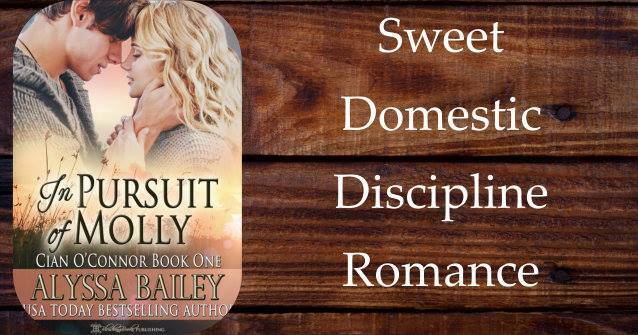 She loves writing about domestic discipline and consensual power exchanges between strong, intelligent women who are not afraid to make a stand and men confident enough to give her space, but Alpha enough to keep his woman safe, in spite of herself. If she can throw a little mystery, humor and suspense in her stories, she is content. Her characters predominately live in Regency England amongst lords and ladies, in the Contemporary Realm amongst men and women of the world, and of course, All Things COWBOY.